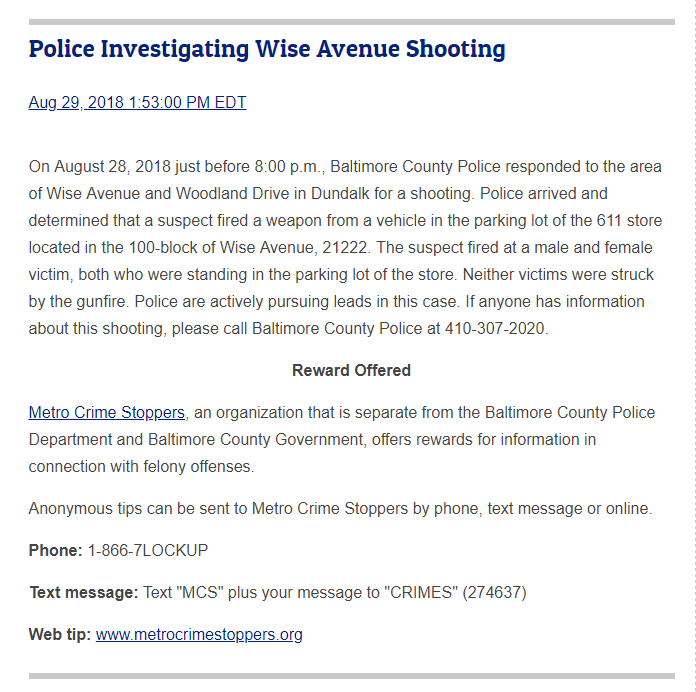 Shortly after The Baltimore Post reported on a double homicide on Wise Avenue in Dundalk, and following an interview with Baltimore County Police Director of Public Affairs Corporal Shawn Vinson, we decided to take a closer look into this location of this horrific crime. The homicide took place at 63 Wise Avenue, which is listed as a single family residence owned by Fakhir and Allan A. Quadir. A Post reporter on the scene at the time of the incident observed some evidence of a multi-unit dwelling. 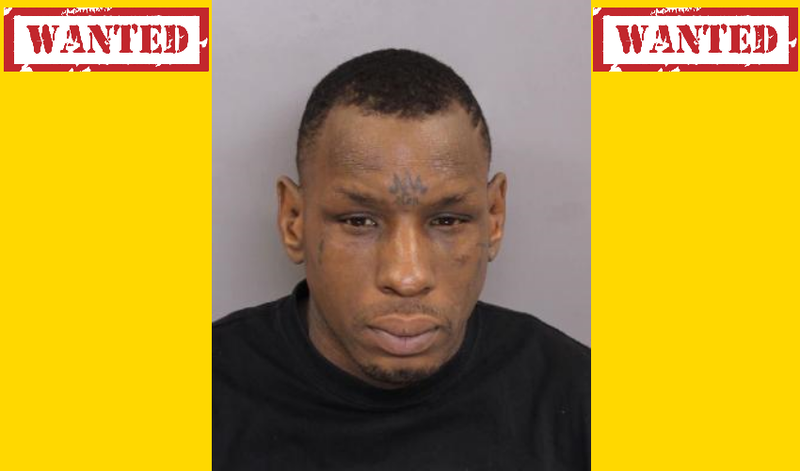 We became suspicious when the victims–Aaron Michael Wearins, 34, of the 3000-block of Mcelderry Street, and Gabrielle Marie Paugh, 26–did not match up with information reported in the Maryland land records database. When interviewing Corporal Vinson, the Post inquired about our suspicions that the residence is a rental property. Corporal Vinson would not comment on that issue in an obvious lack of transparency. After rechecking the land records, the Post contacted the Baltimore County Rental Registration Division and questioned if 63 Wise Avenue is listed as a rental property. The response we received was alarming. We were told that that property is under investigation for being an unlicensed rental dwelling. We also were advised that the complaint had been filed back in July 2018 and was still being investigated. The Quadir’s purchased the Wise Avenue property back in 2007. Now, the next part of the story gets even more bizarre. 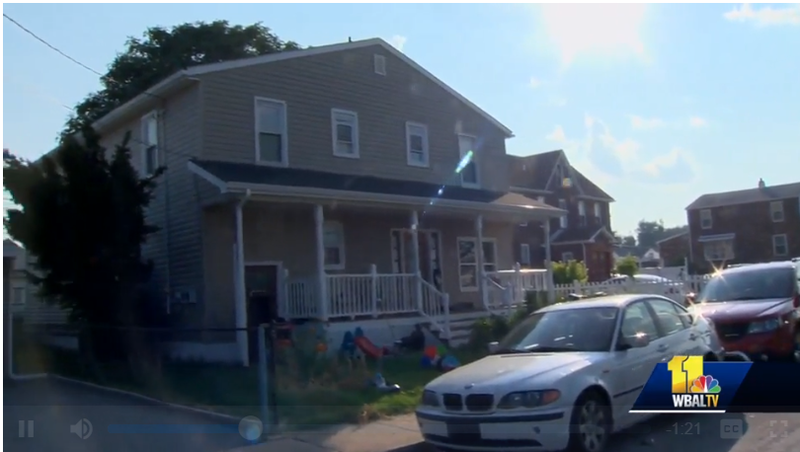 Watch the WBAL TV 11 news report on this horrific crime, specifically the interview with the young gentleman describing the downward spiral of the Dundalk district. Does this appear to be someone who is not a threat to the community? Did anyone notice what appears to be a tattoo of a teardrop below the right eye of the suspect, Tavon Powell? We understand that a book should not be judged by its cover, but note the tattoo under the right eye of Mr. Powell. One of the most widely recognized prison tattoos, the teardrop’s meaning varies geographically. In some places, the tattoo can mean a lengthy prison sentence, while in others it signifies that the wearer has committed murder. If the teardrop is just an outline, it can symbolize an attempted murder. It can also mean that one of the inmate’s friends was murdered and that they are seeking revenge. If you get a chance, go to the Maryland Case Search database and check out the suspect’s lengthy criminal record. Be forewarned, it may take a while to read the multiple pages of crimes involving Mr. Powell. While working on this story, the Post received a phone call from a legislator in Annapolis who was looking into the situation. The lawmaker said this issue is referred to as blockbusting. In addition to 63 Wise Avenue, we understand that Fakhir and Allan A. Quadir own an additional nine rental units throughout Dundalk and the surrounding area. According to our source, one of their other rental units is located in the same block as the scene of the double homicide. How many other dwellings of this type have yet to be discovered? Additional information reveals that the owners may have been collecting what is known as the Homestead Tax credit if they declare the property as a primary residence. In addition, we were advised that another shooting took place at the 611 Store, located in the 100 block of Wise Avenue. 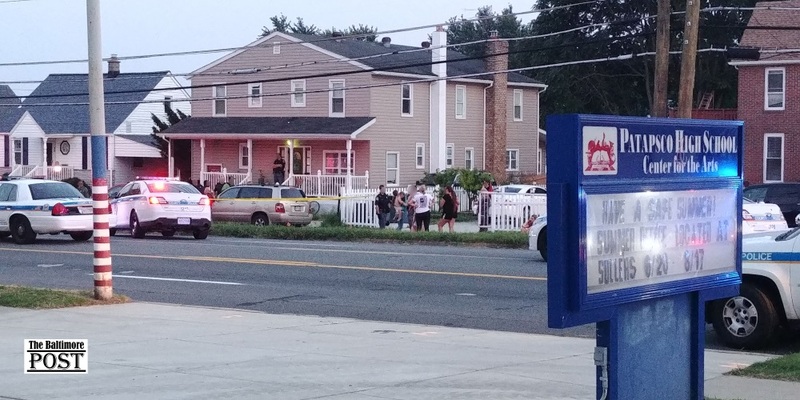 Our Annapolis source advised that a suspect had been apprehended in the convenience store shooting. 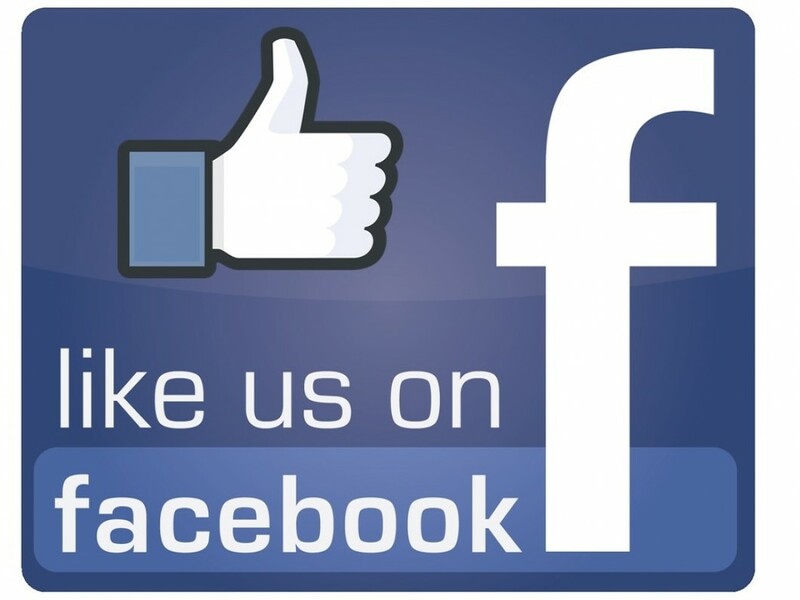 However, when the Post attempted to verify that information, neither the public safety site nor the Dundalk Precinct desk officer who we spoke to at 4:30 pm on August 30 confirmed an arrest. With two active shooters on the loose in Dundalk, there appears to be a news blackout concerning what we see as a potentially dangerous situation. 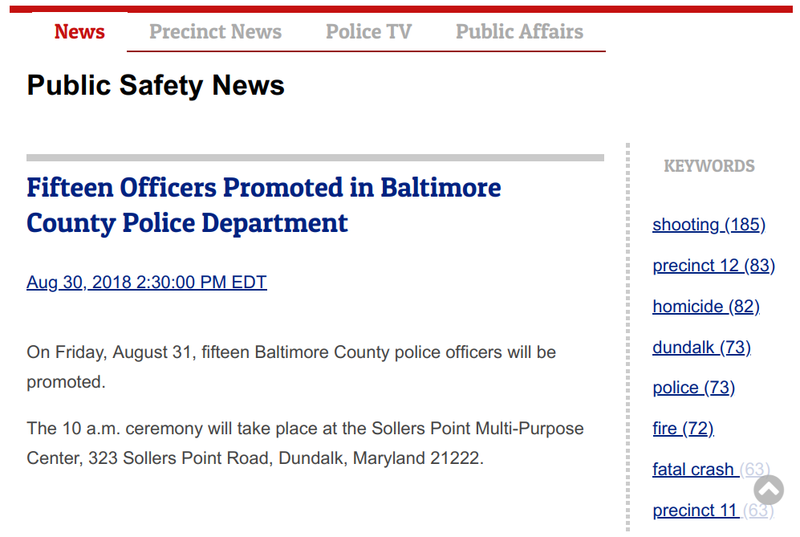 The Baltimore Post believes this trend will continue as long as left-leaning socialist/progressive politicians like Johnny O Jr. and RINO Councilman Todd Crandell continue to pump millions of taxpayer dollars into agencies like the Dundalk Renaissance Corporation. This type of activity will continue to be unabated unless the voters speak up. Stay tuned, as this story continues to unfold.